Need some ideas for outdoor loudspeakers for a yard, patio or pool deck? Start here. Canadian company Paradigm has introduced its Garden Oasis speaker system for outdoor projects. Homeowners are getting outside more lately, and they're taking their home technology with them. In CE Pro's first ever Outdoor Technology Study, loudspeakers came in No. 2 as the most popular outdoor technology in the last year. Once you decide to start a project, choosing an outdoor loudspeaker for a yard, patio, pool deck or other outdoor space can be a little challenging. Do you want to hide the speaker completely out of sight, or simply select one that blends in with the yard? Do you care more about the aesthetics or the quality of sound? Are you looking for speakers to be mounted right on the yard or positioned high up in a corner of the house? The answers to these questions will depend on the user, the breadth of the installation and the size and shape of the outdoor space, of course. 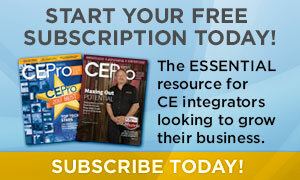 But if you're unsure of the options out there, CE Pro's guide to outdoor technology will help you get off the ground. To start, check out seven outdoor speakers to consider for your next backyard project. See the photo gallery here. 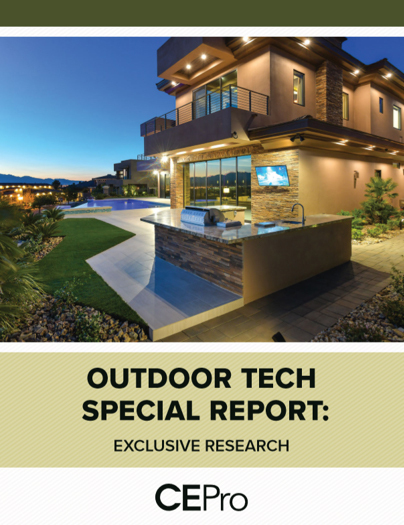 To read the full guide to outdoor technology, click here.